Anchor WordPress theme will help you make a professional looking campsite website that sell. Increase your website conversion using website reservation system. Visitors can not only see your camping, read about your offers but can also book accommodation directly via your website. Reservation form is connected directly to reservation system in the admin panel of your website. Don’t lose any of your customers and save your money spent on consolidator websites. Show your visitors everything your campsite offers to your customers. All information mentioned below can be managed easily using our Anchor WordPress Theme. Not to mention everything can be managed in several languages as multilingual support comes as standard with all our themes. Over 30 available elements will help you to create an interesting website. Are you looking for a new staff member? You can use Job Offer Element to add your open position to your website. Is something interesting going on in your city? You can use Events element to present it on your website. You can easily turn it on or off – you have full control over all content on your website. We’ve designed for you 6 different homepages. You can try all of them, simply edit or create your own from scratch. Content on your website can be build easily using drag&drop elements. Do you have a special offer that you’d like to present on the top of your website? No problem with that, drag&drop an element there and you solve it in seconds. You can easily set up rooms you have, number of rooms, various prices, filters and discounts. Automated emails after reservation or confirmation come as standard. Your new website will simply your life and processes. 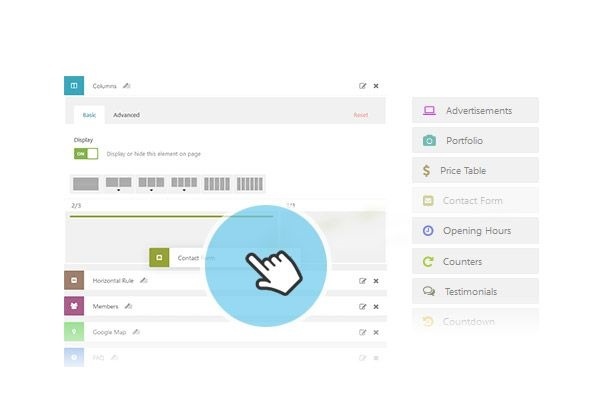 You can also use the built-in message to communicate with your customers. Working with reservation system is very intuitive. Advantage is also the ability to add a reservation over the phone, and you can therefore use the easyReservation system as your in-house system. Plugin is periodically updated with new features. Sophisticated, flexible and easy to use not only for camping owner or admin, but also to your customers. You can choose between Free or Paid version. Free version is fully working, you can receive reservations via reservation form on your website. If you’d like to have more features, you can go for a Paid version that includes 13 more useful functions. You can insert reservation form or reservation calendar anywhere on your website. You have full control over your website, further you can decide where you show your online reservation plugin. Why would you want to do it? You can test what place is the best for your visitors. You can test your conversions and build profitable campsite website. Widget Form, Calendar and Search box can be placed using simple shortcode. You can use it in Pages, Posts, Elements, Sidebars or even Revolution slider. 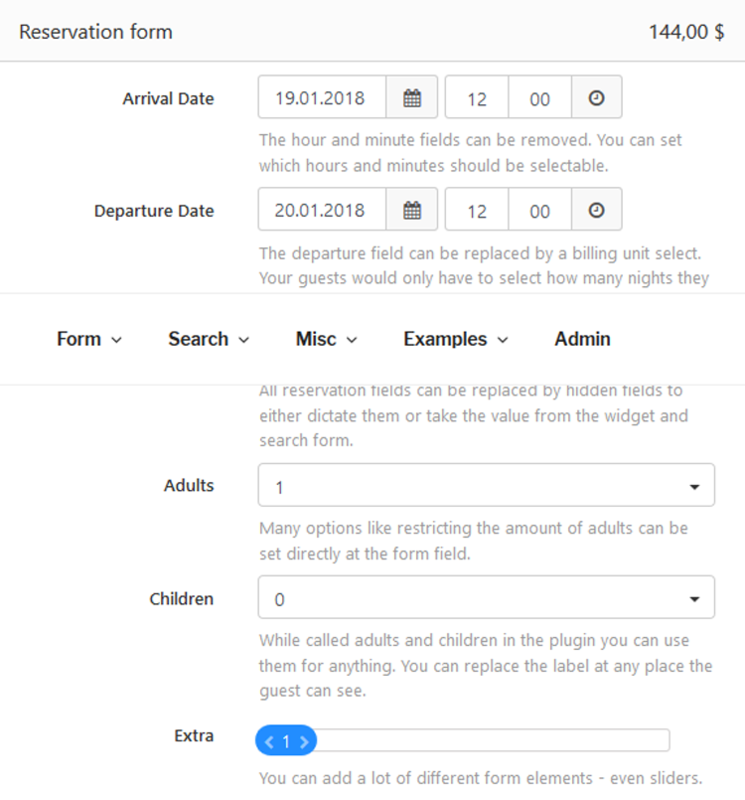 Create your own reservation form that is fully connected to the reservation system. In the admin panel you can create multiple forms with different data sets. You can use predefined Date and Information fields. Let’s say you offer a Romantic Weekend for couples. You can create Custom field to order Champagne at an additional price. You can offer your customers more they’re expecting. Note: easyReservations plugin is a 3rd party plugin and is not included in the theme package. Show them your campsite and location! The best way to attract more customers is to show them beautiful pictures of your camping, restaurant and campsite surrounding. Our experience with our previous accommodation oriented Hotel WordPress Theme confirm that. We’ve made this campsite theme focused on large photos. You can present them not only in the camping slider but also in individual elements on your website. Using Camping WordPress theme elements you can create an attractive portfolio of your rooms and apartments. You can also use video to show your room or restaurant. Add more than one photo to each room and create photo gallery. Add as much information and describe all facilities you have. You can logically structure all that information that will be easily readable to your customers. 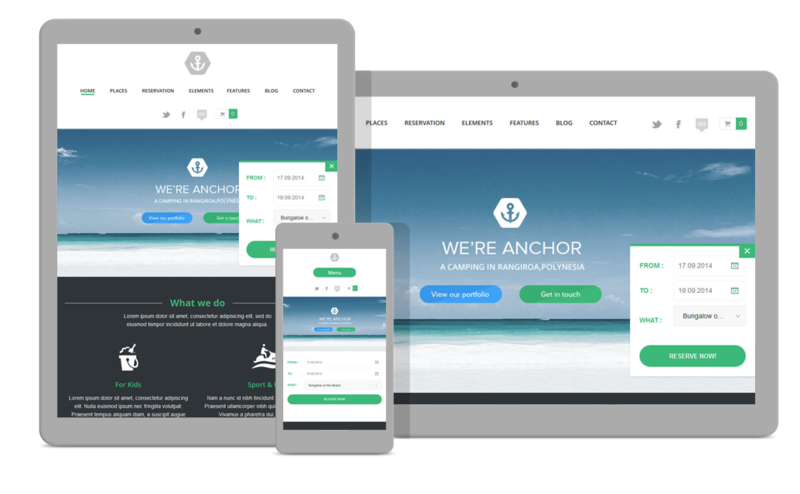 Anchor WordPress Theme is 100% responsive and works great on all devices. Customers can shop online using their mobile phones, tablets, laptop and desktop. Whole website will adapt to screen size automatically. Theme was tested on many different modern and also older phones and tablets such as iPhone, iPad, Android and Windows devices. Anchor WordPress Theme by AitThemes is 100% compatible with easyReservations plugin that is probably the best reservation plugin out there. You'll get a beautifully designed Campsite WordPress theme, most advanced AIT Page Builder on the market and best reservation system for WordPress you can find. This plugin has everything I need and when you get used to it you find that it’s a very powerful plugin. I really enjoy the condition rules which most reservation plugins don’t have. The plugin can be a bit tricky to use but it is very powerful and if you want a similar plugin with a more user friendly admin then you probably have to pay $500 or more per year. I actually use easyreservations both as a free user and a premium user for two of my customers and I’ve got help every time I’ve asked for it. I would prefer a better manual but maybe his working on it. I highly recommend this plugin if you are comfortable with WordPress and want a powerful plugin. If you want something simple then use something else. I’ve only tested the free version but It is one of the best plugin I’ve seen for WP of any kind. I don’t know how the developers managed to turn a CMS designed for blogging into a very nifty reservation system for small/medium size hotels. All the basics are covered with the free plugin. Reservations, types of rooms, rates, scheduler and you can integrate it with a theme to do online reservations. We aren’t likely to use that feature but everything that I have tested works great. We’ve been looking at several outsourced hosted hotel solutions and that challenge I’ve ran into is that most of them are available in English only from $40-$100/month. This one comes ready with files for several languages (which we need) and the set of features on ER is pretty close to those other solutions for a fraction of the price. It is worth a look. This plugin works great. It’s amazing that it’s free and the developer struggles to get the word out about it. It has a nice training feature and it hasn’t crashed once. I think my client will get the pro version just so we can have the view “availability calendar” option. We are able to book house rentals, and still add a discount for weekly rates, he seems to have thought of just about everything. Anything that didn’t work correctly was because I had check boxed the wrong item, about 5% of it is sleightly confusing but nothing you can’t test and figure out what the right options are. To create this type of programming from scratch would be incredibly expensive. This plugin works and works great. The easyReservation plugin is 3rd party plugin available for free from Wordpress.org. There's also a Paid version of the plugin that allows you to access more advanced features and functionality. AitThemes has no relation to that plugin, and all technical support related to easyReservation plugin is provided by plugin author. Please note that it is currently not possible to create multilingual resources in easyReservations plugin. You can create resources only in the default language. does Anchor package contain PSD files? Hi, Yes all our themes include PSD files. Thanks. I have a question . I have to create a site for a client who has an RV parking . I can use this template to do it ? Thank you for your message. You can create RV parking website, campsite website, Aire (stellplatz) website or even hotel website with this theme. You have full control over individual elements and layout. Hello, my client has just purchased Anchor Theme, but i can’t see support for Greek Language, are there some files missing? Try to download most recent theme version from our system. Please also update Ait Languages plugin. Can I remove the language icon if I intend to use only 1 language? Also, can my logo be longer then the logo in the demo? yes, you can use theme with activated one language. The logo can be different, you can change it. The theme Anchor is flexible and very adaptable to customer needs. I really like the theme but I’m being trying to use the easy Reservation plugging and It is developed to make reservations day by day (hotels). I need to have reservations for “events”, a packaged trip with concrete dates. It’s possible to incorporate a plugging like Events Manager in Anchor Theme? Will it works well? Thank you, and wait for your answer to buy the theme and start to work in my new website. we did not test the plugin you have mentioned above. Normally it should working but the plugin Event Manager is not styled with the theme. You’ll probably need to change CSS code. 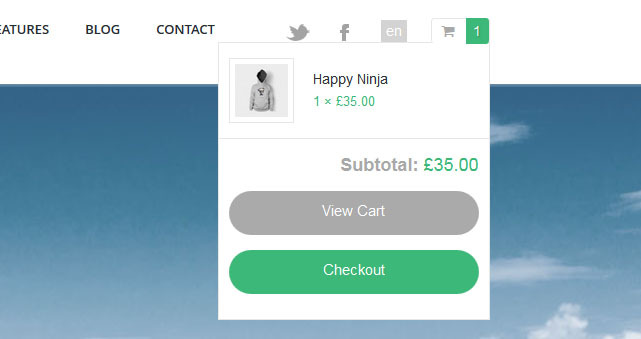 Did you think to create trip packages by using WooCommerce plugin? Nevertheless, you could like also our new WordPress theme Expedition that will be released this week. I like to make reservations without payment. We would be interested in buying the theme Anchor, we would like to know if it is possible to temporarily remove the booking area of the pages (the resort’s rooms will be available at a later date). I have been looking for a campground theme where a given location has one or more campgrounds, each campground has 1 or more campsites. 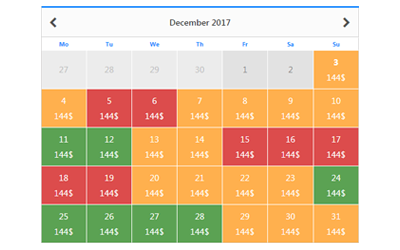 When a client comes in to a location or campground, they should be able to check the dates for their stay and get a list of available campsites (or highlighted area on an image). From the list of available campsites, they will then book the one they want. Can I do this with your theme? The checkout, I assume is via WooCommerse? Do you have a version that could host multiple campgrounds? It sounds like kind of directory with reservations. We have in offer themes which support easyReservation 3rd party plugin. This plugins has a lot of options to set up resources and booking availabilities. Please check this themes. I know that there is woocommerce booking but haven’t try it yet. Each theme(multilingual and translated group) can be used as multisite. So maybe you could use Hoteliour and create subdomains for each campground? Please feel free to post any other questions. thank you for interesting in our products. The most suitable theme you are looking for could be directory listing theme , for example City Guide https://www.ait-themes.club/wordpress-themes/cityguide . To make some reservations you can use integrated WooCommerce plugin. Feel free to test it. We offer 30 money back guarantee if you are not satisfied with the theme. Please note, it is related only to single theme or multilingual theme package. I want to buy theme Anchor and I would like to know if it’s possible for the site visitors to leave their reviews on the site’s pages? you can turn on comments on any page where visitors can leave a message. Our AIT Item Reviews plugin is not compatible with Anchor theme. I’m considering to buy your Anchor theme. However it is only useful for me when customers can pay directly (using woocommerce) while making a reservation. Is this possible? thanks for interesting in one of our products. 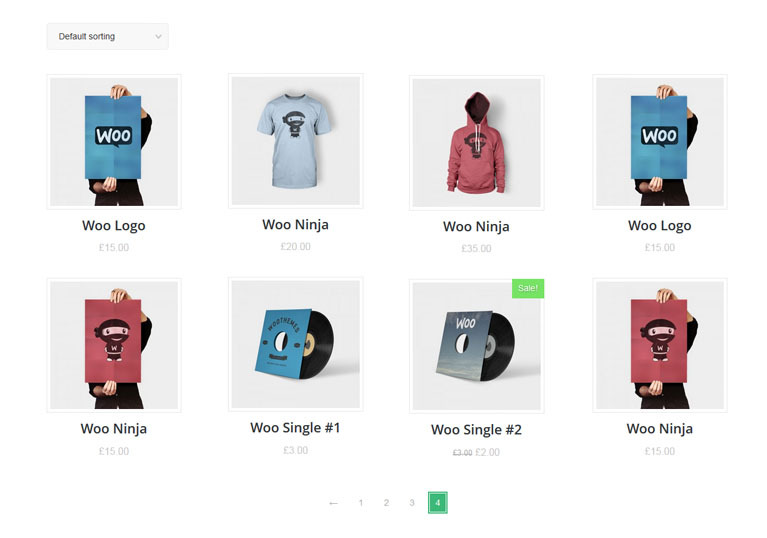 Yes, theme has the plugin WooCommerce nicely integrated. Hello, i need to know if themes included into business membership package are multi languages ready ? please kindly post your question at our support forum which will enable answer you to most efficiently. The latest theme version is v1.52 and theme if fully compatible with WordPress 4.4.2. We just brought this theme but cant find the documentation anywhere? The documentation is available at: https://www.ait-themes.club/documentation/ but you can get direct access also through the support forum. Should you have further theme-regarding issues, please kindly post your question at our support forum https://system.ait-themes.club/ which will enable answer you to most efficiently. I purchased Anchor Theme about a year ago (28/1/15). In order to be able to keep receiving updates & technical support, do I simply have to buy the theme again (every year about the same date)? Last year, I bought the theme through Themeforest. What is the difference between renewing my license through Themeforest or buying it directly on your website? thanks for asking. There are differences in price and theme usage policy. If you decide for theme from http://www.ait-themes.CLUB you’ll get unlimited license usage. The price includes access to support forum and updates during one year. Hi on Anchor can you use the freely available plugins of Lightbox plus colour box & Easy Google Fonts. Google fonts are implemented directly in theme, lightbox and colorbox arew included, you do not need any a 3rd party plugins. Does your camp theme come with directory capabilities? Or a plugin that can achieve that? Where users can upload their camps for a fee and a comprehensive search function? and please check your memory limit and php version according theme hosting requirements. thanks a lot for purchasing one of our products. Can I publish Articles (News) with the Anchor Theme and have clients to comment? Yes you do do it of course. All our WordPress themes support blog with comments. 1. The Anchor theme you can sell multiple package tours in different categories. I do not see anywhere where to make categories. 2. Is it possible to include categories into the search box instead of a scroll down. If have 1,000 package means a very long list. How to avoid this? 1. I am sorry, Anchor theme doesn’t have such a functionality regarding user’s packages like any of our directory themes. I have a problem with theme. on header. Can you help me. Hello, i am using Anchor theme for a client. His subscription to the theme has ended nearly one year now. I am strongly thinking of buying the PremiumX Membership in order to be able to update Anchor Theme, AIT Toolkit, AIT Updater and the Revolution Slider. Is that possible? thanks for asking. Yes, it is possible with PremiumX membership. Hi there, I have purchased this theme and for some reason bullet points have appeared in the navigation and I cannot get them to switch off. HELP! Is it possible to switch between lang. in the website? Because I need Dutch/UK and German. Question about different options to make a booking or reservations. Is it possible to make extra fields and calculate a extra price for it? I purchased this theme on themeforest website but it seems to me that I can not do anything anymore, I mean I can not edit pages using Page Builder, could you please kindly explain to me what should I do? Theme is now available only at https://www.ait-themes.club/wordpress-themes/anchor as the theme has been removed from Themeforest market place. I’m looking at purchasing the Anchor theme for a campsite website and a self-catering website. I note that it says the easyReservation plugin isn’t included, but when I go to that website, it doesn’t list the features you get with the free plugin vs the premium. Therefore, I don’t know whether I’m going to have to pay €119 per licence or not. I realise this isn’t exactly your issue, but since the only reason I was initially considering this theme was for its integrated reservation system, I wanted to bring this to your attention and ask that you provide more info on your page so that buyers know what they’re getting. I’d appreciate any help you could provide. Thanks. thank you for your inquiry and for for interesting in Anchor theme. Please have a try to find the keyword “Differences between Free or Paid easyReservation plugin” on the page presentation by using “ctrl + f” at https://www.ait-themes.club/wordpress-themes/anchor/ . I hope it will help you. Can you please check this, Error message when using Cpanel to Upload the theme. First time I have seen this message. Other themes seem to be fine. I downloaded the theme only 8 hours ago. It is the latest version. Hi! I was interested in the campground theme for a client and I was just curious if all the appropriate plugins for reservations are included in the purchase of the theme? thanks for interesting in Anchor theme. Theme comes with integrated EasyReservation plugin, which means it doesn’t cover the license of a 3rd party developer product. Theme works with the plugin and has nicely integrated design. I am just wanting to know If i purchase the campground theme are the required plugins included in that price? I just want to make sure the reservation capability is there in that price. thanks for asking. We are sorry, theme just comes with integrated Easyreservations plugin, thats means we are not supporting a 3rd party plugin. Our theme is just nicely designed with mentioned plugin as well as functionality. Thanks for understanding. thanks for interesting in Anchor wordpress theme. Please have a look at showcase gallery at: https://www.ait-themes.club/showcase/ where you can filter the results by name of the theme. Do you have a refund policy? My experience is that you can’t really know if a theme is right for you until you try it out completely. Do you have some kind of 30 day money back policy or similar? You can have also a free theme version that comes without AIT Toolkit plugin: https://www.ait-themes.club/wordpress-plugins/ait-elements-toolkit/ /no pre-made custom post types, no Elements to show them in Page Builder, search form whitout some functionality, etc/. All you can do with free theme version is setting of colors and some basic functionality, in fact theme is suitable for personal use only (not ready for commercial purpose, no technical support). I look your ANCHOR WORDPRESS THEME. If i buy your template in full version (59$), all plugins (whitout easy reservations) for this template are included? The full version theme at $ 59 includes all theme plugins? thanks for asking. Full theme version includes AIT Elements Toolkit and AIT Shortcodes plugins: https://www.ait-themes.club/wordpress-plugins/#translated-multilingual-themes only. The rest of plugins are covered with Full Membership package. Is it possible to do N bookings on a single day/number of days? Essentially tickets? Hope you are well. For the anchor template, can the widget be aligned to the left side? From the demo i can see its aligned to the right only. Am I able to try your anchor theme for free to see if I can manage this on my own, instead of a web master? I have a campsite and I need a website for it, but would like to manage it on my own. Is there a way of speeding the them up please, as it seems very slow? I purchased v1.79 of anchor. How can I get the updated version? thanks for asking. Your account has expired on 2016-09-16 and if you plan to update theme you you should subscribe for any of available packages or products in our club: single theme of full membership -> it’s possible when you are logged in our system (GDPR requirements are going to be introduced too). After subscription you can download new updates when you are logged at: https://system.ait-themes.club/join/tf. You’ll get all the benefits from our services – getting free updates, access to support forum, use theme or plugin for unlimited domains or projects. does this include a page builder? thanks for asking. Yes, Anchor wordpress theme comes with built-in page builder, theme options, many useful pre-made custom post types and elements, shortcodes etc. thanks for contacting us back. How we could help you? Feel free to post your reply via pre-sale question or as a private message.